Militants carried out nine attacks today. One Ukrainian serviceman was killed by a sniper in Donbas today, according to the 6 pm report by the Joint Forces Operation (JFO) HQ. The Russian occupying troops carried out nine attacks today, using weapons banned by the Minsk agreements on two occasions. In particular, they fired with 82-mm mortars on JFO positions near Hnutove in the Mariupol sector. "Our troops' strongpoints came under fire from grenade launchers of various systems, heavy machine guns and small arms in the Donetsk sector near the population centres of Maryinka, Krasnohorivka, and Lebedynske in the Mariupol sector," the JFO HQ said. 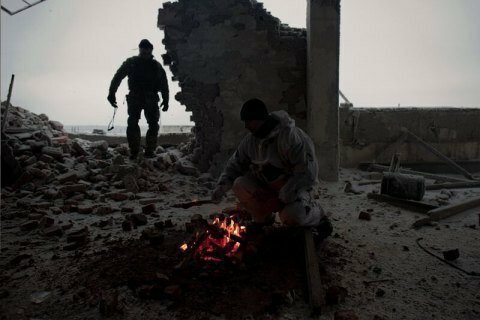 The Ukrainian army reported no losses on 12 December despite seven separatist attacks.